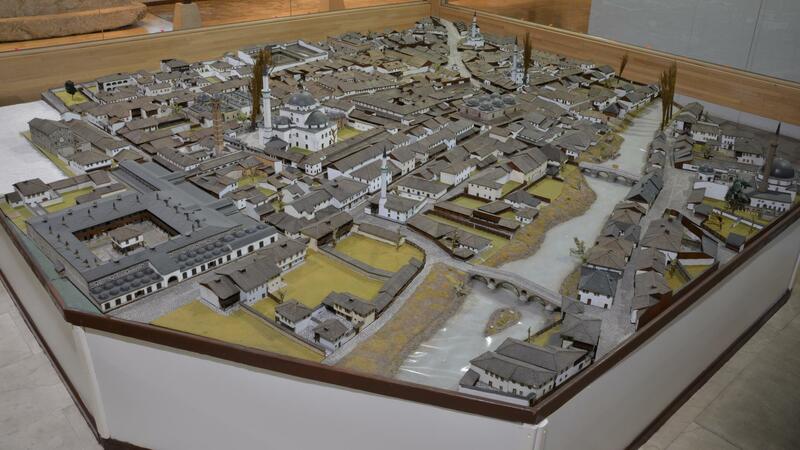 In the City Museum of Sarajevo, the interactive city model has been inaugurated on May 15, 2015. 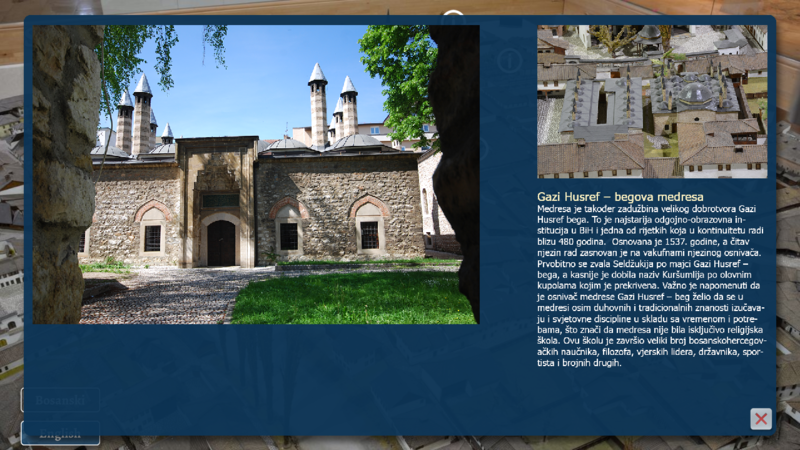 This application has been made by ETF (University of Sarajevo) and Visual Dimension in the context of the V-MusT Digital Museum Expo in Sarajevo. 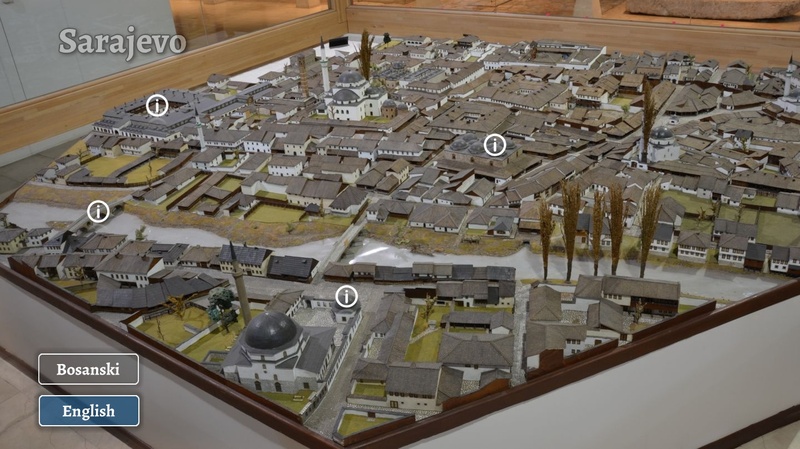 The application shows the physical city model in the museum, showing Sarajevo in the Ottoman period in the 16th century. The application gives more information on 18 monuments seen on the model, 16 of them are still standing monuments in the city of today. The most important building that is not anymore standing, the Tašli Han, has been virtually reconstructed in Unity3D, combined with extensive interactive storytelling.